As a busy business owner, it’s easy to forget to call your insurance agent when you purchase new office equipment or expand your office space. However, neglecting to update your business insurance can be a costly oversight. Over the years I have found that many successful business owners get so busy with day-to-day activities that they simply forget to check if their insurance is adequate. Don’t assume that your limits and coverage are sufficient if it’s been more than a year since you’ve reviewed your insurance, or if you’ve made any significant new investments like purchases or renovations. It is only through the insurance review process that your insurance needs can be properly assessed and addressed. Your business could be dangerously under-insured, or it might actually be over-insured, and you could be spending money unnecessarily that could be put to better use elsewhere in the business. We even periodically see both scenarios in one business. Does your policy have an inflation guard which increases your limits each year? Are you responsible for your tenants, improvements and betterment per your lease agreement? If so, is it included in your business personal property limits? Do your limits include any new purchases of computers or office equipment? Are your Employee Dishonesty limits high enough to protect you if an employee were to steal from your business? Are general liability limits adequate? 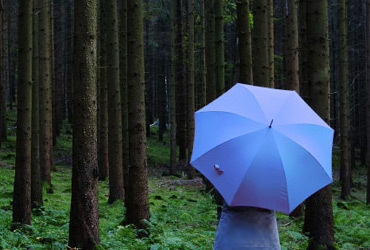 Is umbrella coverage needed? Does your Landlord require being an additional insured on your General Liability limits? Does your policy include endorsements which broaden your coverage? Have you been offered Cyber/Privacy liability to protect your business data and most importantly, your customers? Business insurance is complex, and to keep up with the pace of business change, we strongly recommend conducting a professional business insurance review annually. At Dyste Williams, we conduct insurance reviews at no charge, even for non-clients. Please give me a call if you think your business can benefit from my experienced insurance insight. You can reach me at 952-843-4444 or sstark@dystewilliams.com.